Miami, Florida (March 27, 2019). With much anticipation, Best of the Best Music Concert, (BOTB) has made their first announcement for their 13th annual staging. The premiere Caribbean summer concert returns to Bayfront Park, in Miami Florida. The promoters of Best of the Best Concert are pleased to announce a cast of some of reggae/dancehall and soca most electrifying artists for this year staging. Set to be held on Sunday May 26th, 2019 organizers have put together a historic line up paying tribute to 90s dancehall. The long-running Memorial Day weekend – destination event, is brought to you by Rockers Island, XO Management, and co founder Steven ‘Jabba’ Beckford who are pleased to announce the release of their first announcement of artist on this years Best of the Best Music Fest. “Every year we look to celebrate Caribbean music and this year is no different. We decided to carve out an era, which so many of us love and reminisce on all the time. This era was ground breaking for dancehall and reggae music in many ways and that is the 90s era. We had some of our biggest artist in dancehall during the 90s era many of them still reign today. Therefore, we decided to pay homage to 90s dancehall, with some of the hit makers of them time. Not to mention for the first time in America The Emperor Shabba Ranks and Don DaDa Super Cat will be sharing the same stage in the United States” says Steven ‘Jabba’ Beckford. 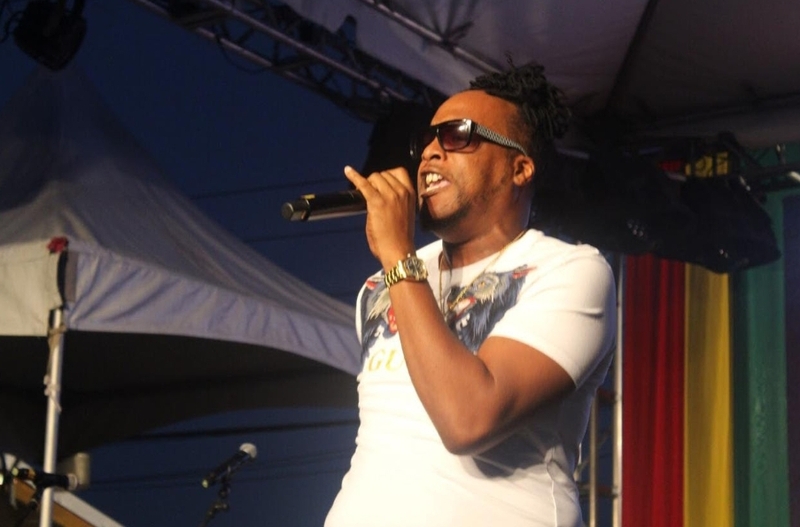 As one of the premier concerts for dancehall and reggae music outside of Jamaica and celebrating their 13th anniversary, on Monday March 25th, Best of the Best Music Concert made their first artist line up announcement. The lineup reflects a 90s theme with some of the newest sensation in dancehall like Noah Powa who had a stellar 2018. Noah Powa, who for many is known as a selector has embarked on a musical career, which is garnering a new fanbase with his relatable hits like, ‘Keep the Same Energy’, ‘Feel it’ and his recent collaboration with Grammy Award winner Shaggy ‘Money Up’. Performing on the Best of the Best stage as an artist for the first time Noah Powa is definitely pleased with his career and acknowledgement by the promoters and fans. “I have received a tremendous outpour of love and excitement from my fans since the announcement, and persons are messaging me letting me know they are looking forward to see my performance. It’s a great feeling to know the work is finally paying off and I will be one of the acts on this mega stage show”says Noah Powa. Confirmed are Shabba Ranks, Super Cat, Bushman, Frisco Kid, General Degree, General B and Round Head, all artist have mega hits and anthems from the 90s, which brings forth an enjoyable recollection of the past when their songs are played or performed. The rareness of having all these acts on one concert bill, is something many fans are excited about and looking forward to. “I recall living in Jamaica during the 90s and the stage show vibes were always so energetic and full of entertainment. An artist like Frisco Kid, who is still one of my favorite artist from that era, had so many hits from he enter the stage, I am looking forward to this show. Not to mention the Emperor and the Don DaDa Supercat on the same stage, history”says Alecia McKintosh of Tampa, Florida. “Also a remarkable year for Soca music we had to book one of the three (3) road march winners of this year’s Trinidad carnival, Skinny Fabulous out of St Vincent, with the big bad song Famalaay” says Steven ‘Jabba’ Beckford. With another artist lineup slated for late April, Best of the Best promoters are pleased with the initial response to their announcement. “For the past few months the Best of the Best office has received numerous emails and messages from patrons, many of whom purchased their early bird tickets without even knowing the lineup. Upon the release of the lineup we have definitely seen and increase in ticket sales and social media buzz, surrounding this show” says publicist for Best of the Best Ronnie Tomlinson. For over a decade, Best of the Best Music Concert has developed a destination getaway to Miami for people from around the globe to enjoy; great company, music and live performances from some of the top artists of the Caribbean. Fans of BOTB not only enjoy a mega music festival on Sunday May 26, 2019, but they get an entire weekend dedicated to producing the “best” events during Miami Memorial Day weekend. Tickets are currently on sale and flights are quite low right now to Miami right now, making this a good time to plan a getaway with your family and friends. For more information log onto www.bestofthebestconcert.com. ‘Spectacular’ doesn’t even begin to describe the blazing performances of our very own Tuff Gong International artistes that took to the stage at 56 Hope Road to help us to celebrate Bob Marley’s 74th Earth Strong. 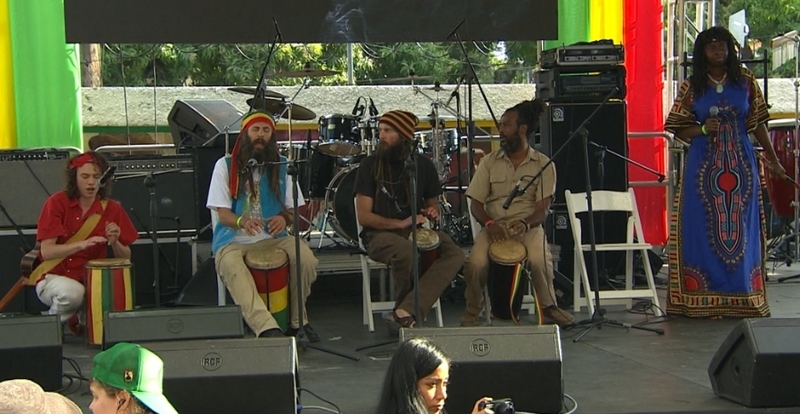 One by one, they delivered a crowd-pleasing performance that Lively Up the Reggae Jam Session. 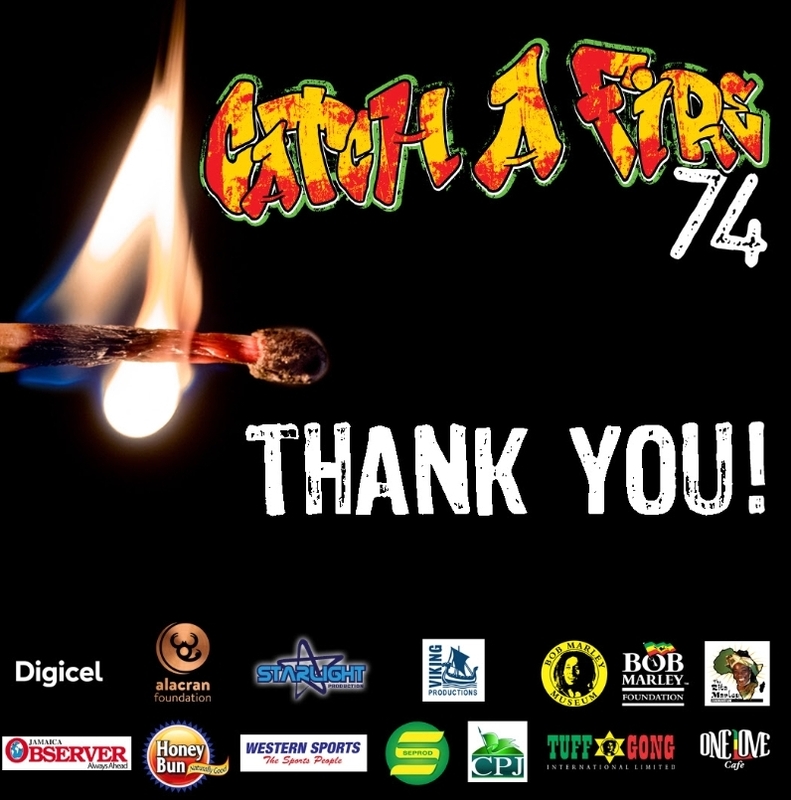 Their significant contribution to the 74th Earth Strong Celebration had a profound impact on the success of this event. We thank you. 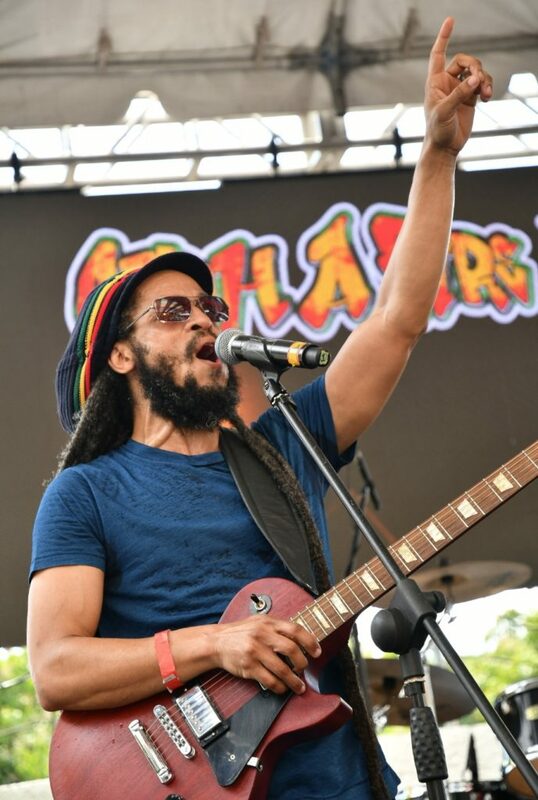 This past Saturday (March 9) rising reggae band Royal KhaoZ graced the 9 Mile Music Festival stage for the first time ever. Performing alongside some greats, they had the pleasure of joining the lineup with Nas, Julian Marley, Capleton, Sizzla and more. I would love to schedule an interview for you to chat with the guys about their 9 Mile experience. They were exclusively featured on News 12 The Bronx last week for their “Best of the Bronx” series and recently premiered their latest single “Show Me Your Motion,” on largeup.com, which is also featured on the TIDAL Rising Reggae Playlist. As they gear up for their sophomore LP, due out later this year, they continue to push the bar with reggae music on the forefront of mainstream platforms all while spreading empowering messages with popular tunes like “Walk with Jah,” a hit from their 2016 EP, Release the Pressure. This Bronx based group is steadily hitting the music waves. They have already worked with some of the most renowned reggae legends (Toots & the Maytals, The Wailers, Kranium, Luciano, Sister Nancy, and Roots Percussionist of Chronixx & the Zincfence Redemption) over the years. Thriving on their roots and culture, Royal KhaoZ’s music focuses on positivity, love, and empowerment. Not only do they make music but they create a safe space for other artists to do the same. On Thursdays they host a live intimate jam session, Voice Out Jams, in their Bronx recording studio where they encourage and invite all creatives to share their artistry in a safe and supportive environment. The likes of Junior Reid, Juno award winning Canadian Reggae artist Kirk Diamond, Roots Percussionist, Keisha Martin, Kiprich, Derrick Morgan, Lila Aike, Shuga, New Kingston, Naomi Cowan, Carlene Davis, dancehall artist Kemar Highcon, Alandon, and more have already blessed the stage with their presence. Click here to view one of the sessions – you can check the band out at the 19:50 mark. Dretegs, Bama, and Coco, who have been members since its inception formed the band in 2010 right in the Bronx and have been producing heartfelt and powerful tunes ever since. DamDrumz and Vassell, always familiar with the band’s work, plays on the drums and percussion. Thriving on their roots and culture, Royal KhaoZ’s music focuses on positivity, love, and empowerment. Every one of their songs leave a lasting message that can reach any listener. 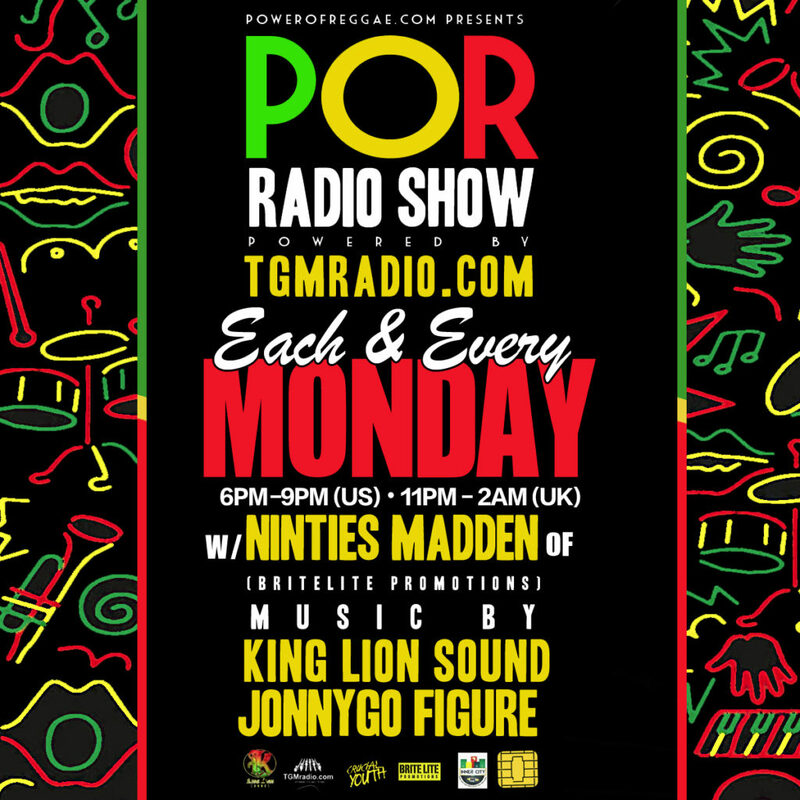 The band possesses the ability to represent reggae in its truest form, while tastefully applying their own twist to traditional and conventional sounds. Drawing influences from soul, funk, pop, and rock, the group prides themselves on creating raw and organic reggae fusion. REGGAE’S HIDDEN LEGEND MR. WILLIAMZ IS BACK WITH A SCORCHING NEW SINGLE: ‘YOUR STYLE’ ft. PRESSURE. Blending 80’s / 90’s dancehall influences with coolly authentic reggae – Mr Williamz‘ life time dedication to music and experience within the genre sound through on ‘Your Style’ – ft. the melodic tones of the internationally acclaimed reggae artist Pressure. Known by reggae fans world wide as an original sound system toaster, Mr. Williamz (real name Micah Williams) is a Reggae/Dancehall artist from West London. He has recorded and performed with the likes of: Chronixx, Damian Marley, Gappy Ranks,Hollow Point, Jah Mason, Junior Demus, Mikey General, Pinchers, Pressure, Queen Ifrika, Shinehead, Spragga Benz, Stephen Marley, Supercat and Topcat. He is also the first reggae artist to tour India – doing a 5 city tour with Reggae Rajahs in 2011. He recently made his acting debut in the feature length film: ‘Yardie‘ directed by Idris Elba. 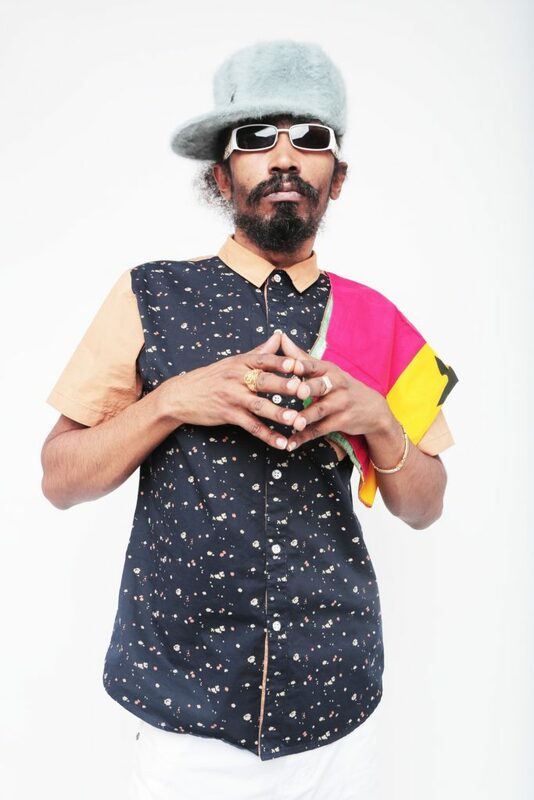 Mr. Williamz emerged on the reggae scene in 2008 with his first official release: ‘Babylon Helicopter’ for Necessary Mayhem, which was followed by ‘No Cigarette’ – released the following year on Biggest Reggae Anthems (Greensleeves 2009). Mr Williamz’ authentic style and talent has seen him collaborate with producers such as Major Lazer (Smooth sailing), Shy FX (Bad boy business),Mungo’s Hi Fi (Musically Mad , Computer Age) & Green Lion Crew (The General Comes to Town)- to name a few. “Music is community service in the form of melodies,” so says Jermaine Joseph, better known as “Autarchii”. How simple yet profound! This ever so conscious 25 year old Reggae Artiste believes the role of an artiste is to give people different expressions to uplift their mood and steer them away from negativity. “Whilst someone remembers a Bob Marley song, they might not remember who the President for a specific country was in 1962. Musicians are the guardians of the Earth and their purpose should be to uplift the community and the world at large,” said Autarchii. This uncompromising Reggae Artiste who hails from Portmore, Jamaica migrated to the U.S.A in 2010, primarily to pursue higher education – he has a Bachelors in Digital Marketing with a minor in Sociology/Anthropology from Baruch College. Although Autarchii has been writing songs since he was 11, he’s only been a professional Reggae Artiste for the past 7 years. With songs like ‘Land of the Free’ and ‘Ecological Integrity’, it’s clear that music is in his blood. Autarchii credits his father, Veteran Recording Artiste Donovan Joseph and the founding fathers and mothers of reggae for nurturing his uncompromising approach to music. “Reggae is one of the only genres of music in the world that dedicates itself to talk about topics of injustice and inequality. My style has been influenced through reasoning with the elders and from my own experiences as a black man in this time,” said Autarchii. He went on to explain that he knows he is from a rebellious tribe and if he were in Africa during colonialism, he would be the one to spearhead the regime against its downfall. This natural fiery side as he puts it makes it difficult to tolerate injustice and those who try to sell out their own for personal gains. Why the name ‘Autarchii’? Well, it was derived from the word ‘autarchy’ which means self-rule and self- government, however, he explained that the ‘y’ was changed to ‘ii’ or as Rastafarians say “I and I” to highlight his ‘livity’ (life) as a Rastafarian and the “pain that I feel my brothers feel hence the need to rise in unity”. Additionally, Autarchii is a part of a group called ‘Red a Red’. While he doesn’t take credit for the term used by ancient Rastafarians, he said he incorporated the name to represent their movement which signifies fire, passion and a sense of purification. 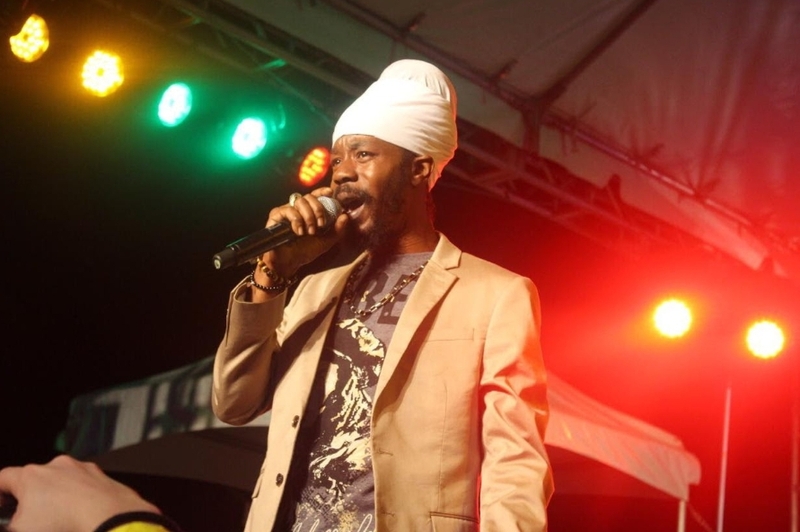 Autarchii, who is also the cousin of the crown prince of Reggae, the late Dennis Brown, is seen as an activist as much as an artiste who is trying to reach a wide cross section of people through his music. However, more specifically, he hopes his music will resonate with black people of African descent considering that these people have been downtrodden for the longest period of time and are still oppressed, whether their transition is from the chattel slavery system to being mentally enslaved. He said whilst he would like his music to reach everyone in every demographic, he has to uplift his people first and then others. This Roots Singer calls on people to fight the ‘right revolution’, whereby everyone stands their true ground without partisanship. Autarchii, describes the ‘right revolution’ as one where equal rights and justice are provided for the ‘down pressed’, who he considers to be African people in the diaspora. He notes, however, that whilst individually many people have been fighting the ‘right fight’, it has been a weak collective effort and general sense of disunity among the oppressed. Nonetheless, he is confident that the battle will be won eventually. So what would he be doing if he wasn’t a singer? Autarchii views himself as an artistic person, so he would be cooking, writing a book or teaching. Autarchii admits that he uses music to dabble in other areas whether it’s activism or political education and can often be found in the ghettos staging sessions to enlighten the youth. Autarchii’s activism also includes his work with Life Yard, a community based organisation and social enterprise in the heart of downtown Kingston. He explained that he appreciated the work that was being done by Sabukie, his school mate from Kingston College, Nicumma Carr – Co-Founder/Director and the rest of the Life Yard team. 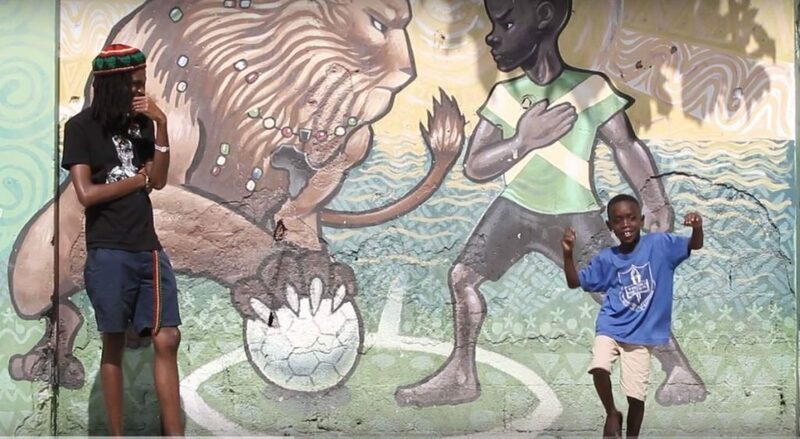 Their work in the area of child development, (the music video’s being shot there) and their efforts to show the true culture of Jamaican garrisons or ghettos caught his attention. Additionally, he loved the fact that they were doing agriculture considering that many youths stray away from it but ironically have no issues eating of its produce. His first formal collaboration with Life Yard was an event called ‘Entrepreneurship meets live music’ held in December 2018. Despite being in the U.S.A, Autarchii still supports initiatives to uplift the community back home and uses his skills to leverage resources needed for the various programmes. He says technology plays an integral part of strategizing when he’s away and when he visits Jamaica he engages in direct consultations with the team. Autarchii and his team will be embarking on a major campaign based on his soon to be launched song dubbed ‘Youth Today’ which is being produced by Slimmah Sound in the Netherlands. Essentially, the campaign is geared towards encouraging the youth to have morals, to be of proper upbringing, to be educated and to live in love and unity. Studio Dan, whose aim is to eradicate illiteracy from Jamaica, will be one of the major collaborators and Life Yard will also be on board. He noted that there will also be a series of breakfast programmes for youngsters in various ghettos across Jamaica. We hope you have been inspired to use your chosen field, whatever it might be, to uplift those who are most vulnerable either in the diaspora as well as in your birth country. To whom much is given much is expected, and Autarchii at his young age has set an inspiring example from which we can work individually and collectively towards the advancement of our people. 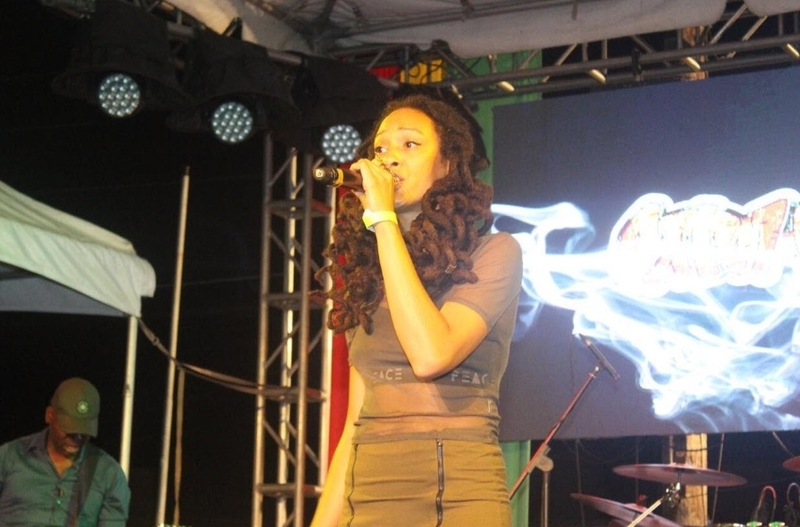 Check out more about this young radical Reggae Artiste at: http://www.autarchii.com/.